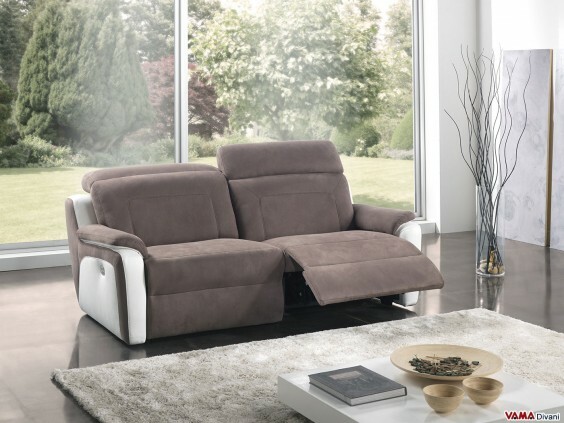 Reclining sofa in brown-white leather and microfibre, with a contemporary and stylish design that goes with great flexibility. The contemporary Liberty sofa is very comfortable thanks to its perfect ergonomic lines and the presence of electronically adjustable and conveniently controlled footrests and headrests. 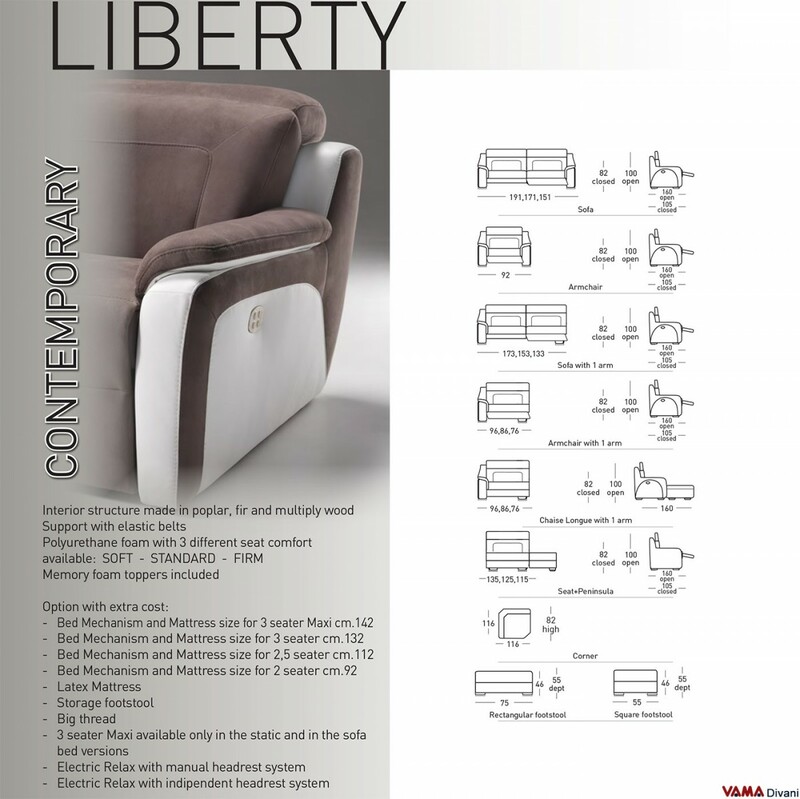 Liberty is a reclining sofa offering an excellent comfort, thanks to its reclining footrests and headrests. You can easily change the design of the sofa using practical controls, while you are sitting, to deeply relax. The outstanding features of this contemporary sofa make it perfect not only for those who want a sofa with excellent comfort, but even for those with walking difficulties or for older people. Concerning style, this contemporary sofa is characterised by a simple and sober design, which can certainly show off in many different environments. 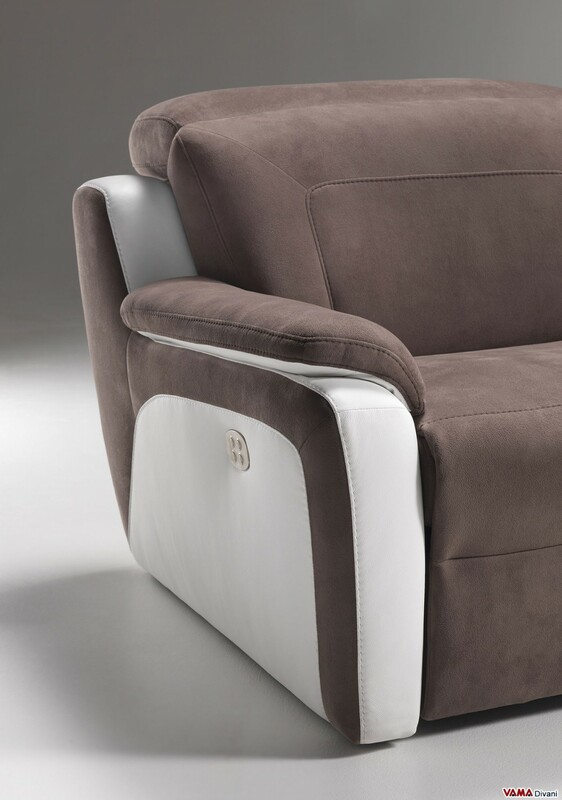 Much of its surface is made of brown microfibre, tough and very soft material, while its side upholstery is made of high quality white leather.